So I've been methodically putting on my sunscreen every day, rain or shine. 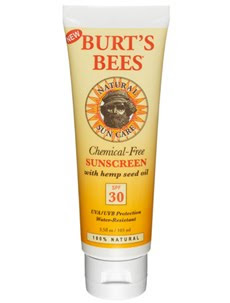 I'm still using the Burt's Bee's mineral-based sunscreen, as I commented in an earlier post. Even though it still has drawbacks - it leaves my skin feeling weirdly sticky and takes forever to rub in - I'm going to finish the tube, by golly. In spite of the way it makes my skin feels, it does seem to function really well as a sunblock. The two lesions that I developed while in Nevada have resolved, and no new ones have cropped up. Yesssss! The packaging says that it may discolor fabrics, but I haven't noticed that to be the case. 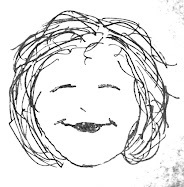 It could be that some of the product straight from the tube may stain clothing, since it's tinted a flesh color. I'm going to give the sunscreen a serious test drive today since the sky is blue and the sun is shining.